I met Aja on a garden tour last fall. 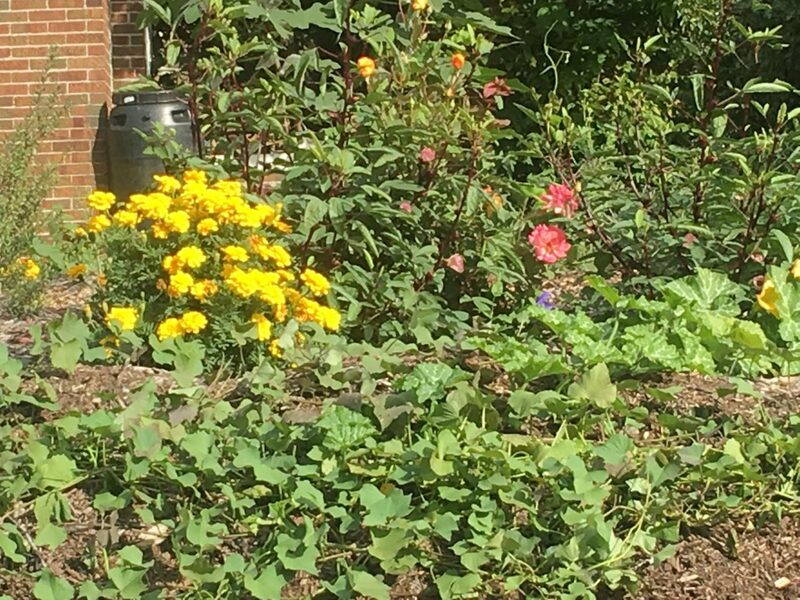 Her home’s permaculture garden was included because she was using regenerative agriculture practices very well and also had a wide variety of food and medicinal crops growing on her tiny urban farm. In all, she is growing 200+ varieties of herbs, fruits, vegetables and flowers. The city where she lives is taking her to court because they say her wood chips are ‘debris’ and that they are attracting bugs and fungi, which is ironic because her urban homestead has been designated a Certified Wildlife Habitat® site with the National Wildlife Federation and Indiana Wildlife Federation and also as a Climate Victory Garden. Neighbors and non-lawn advocates across the country have been signing her petition and locals will join her on the day of her trial, Monday April 22nd (Earth Day!) in a march from her home to the courthouse. If you are so moved, please sign her petition and share via social media. A victory for Aja is a victory for the planet, especially urban homesteaders everywhere.